Last Saturday, my sister and I stopped by Holly's Cupcake Shop in Conyers which is out in suburban Atlanta. Holly also a location in Midtown at Colony Square. 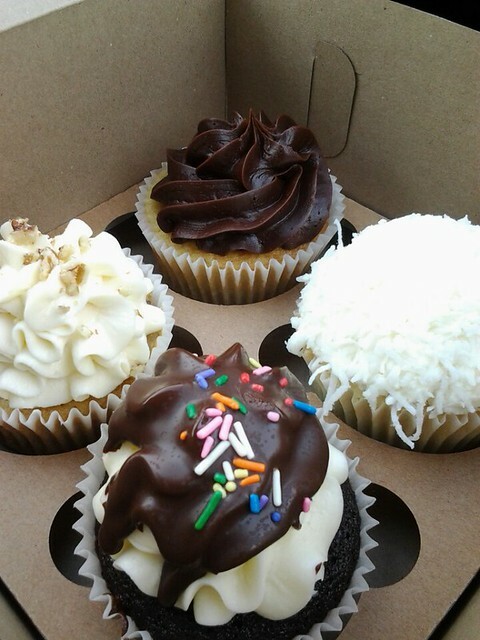 We got a vanilla cupcake with chocolate frosting, a coconut cupcake, a high-hat cupcake, a and a hummingbird cupcake. I loved the hummingbird cupcake which is a classic southern cake. Hummingbird cake typically is banana cake with pineapple and has a cream cheese frosting with chopped pecans on top.